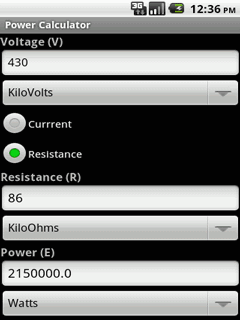 Ohms Law Calculator - Ohms Law Calculator provides the best way to calculate Voltage, Current, Resistance and Power. Accurate Calculations and Conversions with every Unit and Value Change. Ohms Law Calculator includes 4 following modules. • Multiple options for Calculating each values. 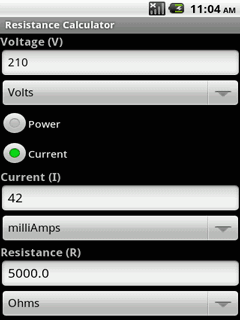 • Accurate Calculation of the Output with respect to changes in the Input/Options/Units. 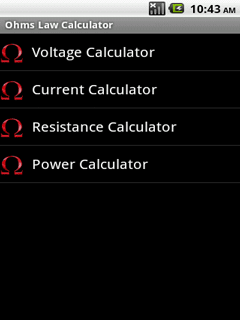 This application performs your calculations easily by your voice!